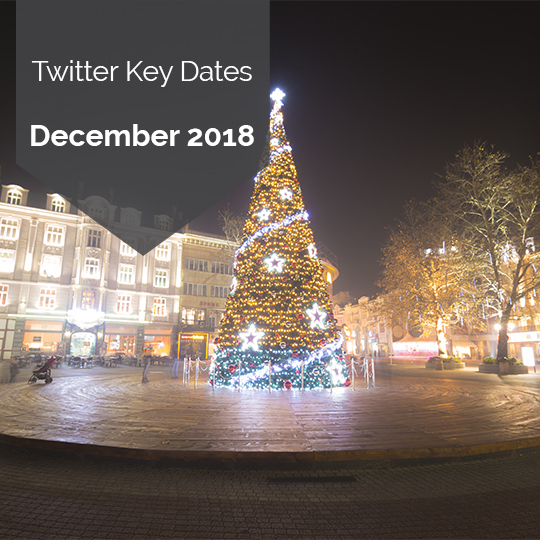 Twitter's December 2018 calendar notes interesting holiday, sports, entertainment, and pop culture events that are anticipated to be talked about the most as well as some projected Twitter volume based on past performance. 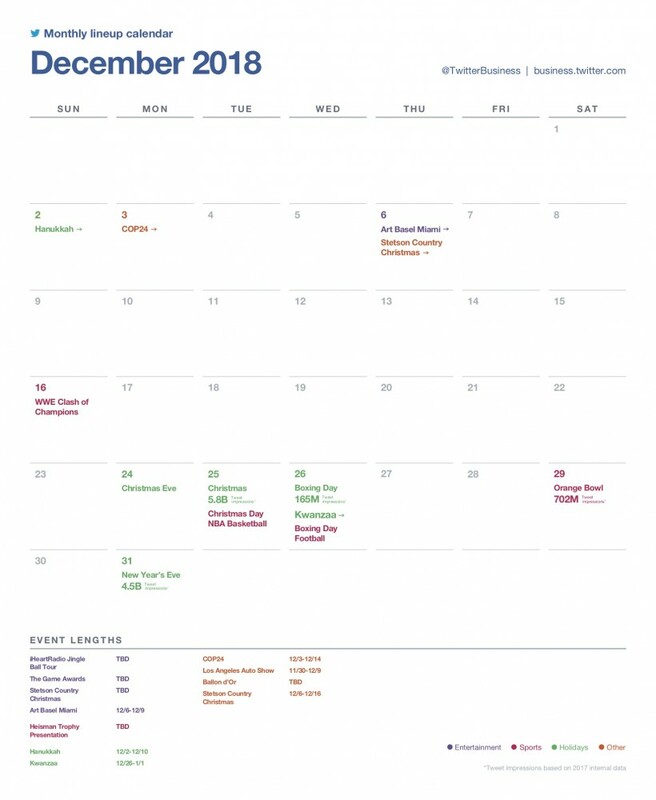 As you can see, Twitter users will be hashtagging about a lot of events, celebrations, and holidays along with other cultural happenings. Make sure to leverage these opportunities and join the conversation on these events, and keep an eye on what's happening locally in your area. According to Twitter, people like to see brands join the conversation with relevant content or deals. Furthermore, 42% more time is spent looking at Twitter Ads relevant to surrounding content. * Come up with some creative ways to join the discussion surrounding these trending topics to reach everyone from those who celebrate #Hanukkah, #Christmas, and #Kwanzaa to welcoming in the New Year on New Year's Eve. Using hashtags relevant to holidays and events have always been an easy way to get into the mix with relevant conversations and reach more people. According to Twitter, in 2017 there were 5.8 Billion Tweet impressions celebrating #Christmas and 4.5 Billion Tweet impressions welcoming in the new year on New Year's Eve. ** While this and other topics may be obvious choices to leverage in your social media strategy, don't forget to monitor the trends section of your Twitter account to see the latest trending topics relating to these and other topics.